Lily Ivory feels that she can finally fit in somewhere and conceal her "witchiness" in San Francisco. It's there that she opens her vintage clothing shop, outfitting customers both spiritually and stylistically. Just when things seem normal, a client is murdered and children start disappearing from the Bay Area. Lily has a good idea that some bad phantoms are behind it. 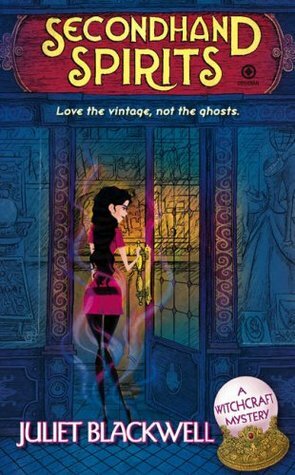 Can she keep her identity secret, or will her witchy ways be forced out of the closet as she attempts to stop the phantom? Such a great little cozy mystery! Bonus points for being set in San Francisco, my adoptive city across the bay. I loved diving into Lily Ivory's world of clothing, mystery, witches, romance, and goblins (or pigs). I sped through this book waiting impatiently to find out the mystery behind La Llorona, Frances Potts, and all the other fun characters. I loved the world building in this volume. Can't wait to pick up the next in the series!